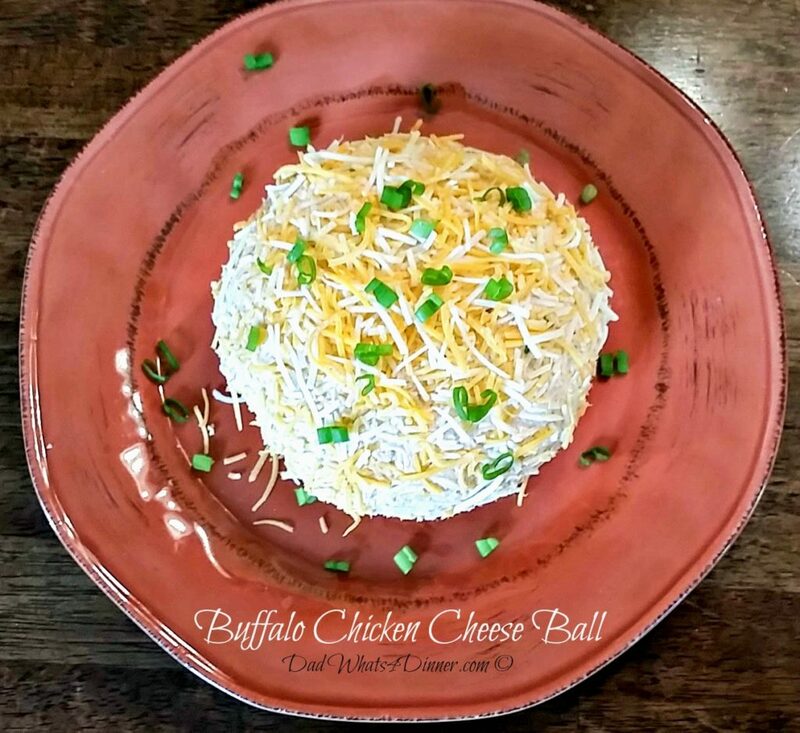 Buffalo Chicken Cheese Ball is perfect for The Big Game! This is a great twist on buffalo chicken wings. You can add more heat if you want but this version has great flavor and is very easy to make. To make this recipe even easier, pick up a rotisserie chicken from the grocery. Shred the chicken and mix with the rest of the ingredients. Chill to set up. 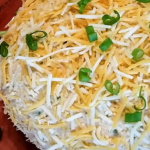 Roll the Buffalo Chicken Cheese Ball in some more shredded cheese. Sprinkle with some green onions and serve with crackers, corn chips or if you want to be a little more healthy, celery. If you like what you see, please sign up to receive all my new recipes via email. I will never sell your information and I will not spam your inbox. I usually send out a newsletter once a week. Follow me on Twitter, Facebook and Pinterest and don’t forget to press the Yum button! Great Twist on Buffalo Chicken Wings. Combine chicken and hot sauce. Combine chicken mixture and remaining ingredients in bowl and blend together with hand mixer or spoon. Chill for 1 hour and shape into ball. Coat with cheese and chill until serving. To shape, line bowl with plastic wrap two times the size of the bowl. Place mixture in bowl. Cover with excess plastic wrap tightly and press down. When chilled easily remove wrapped ball from bowl and remove plastic wrap. Please join me and bring your blog posts to Throwback Thursday’s! with Alli @ Tornadough Alli. I have joined Alli in co-hosting this fun link party. I also will be bringing this recipe to Freedom Fridays, Friday Favorites, Fiesta Friday, Weekend Potluck, What’s Cooking Wednesdays. Checkout my Link Parties Page for other great places to find new recipes. 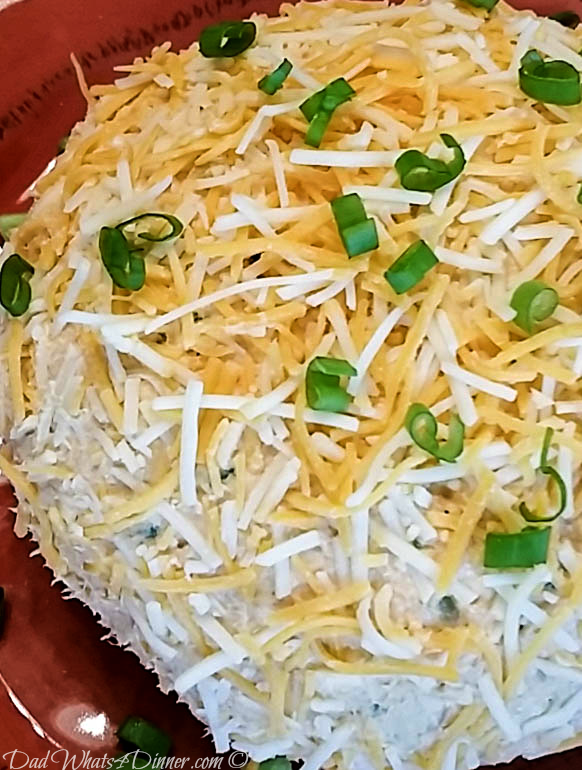 What is your Favorite Cheese Ball? Originally posted April 2013 on dadwhats4dinner.com. Thankfully updated!!! Filed Under: Appetizers, Hacks, Kid Friendly, recipe Tagged With: Franks Hot Sauce. Buffalo chicken. Cheese. Pretty creative, this, Quinn! Would make a great appetizer. Plus we’re always looking for ways to use up rotisserie chicken, aren’t we? 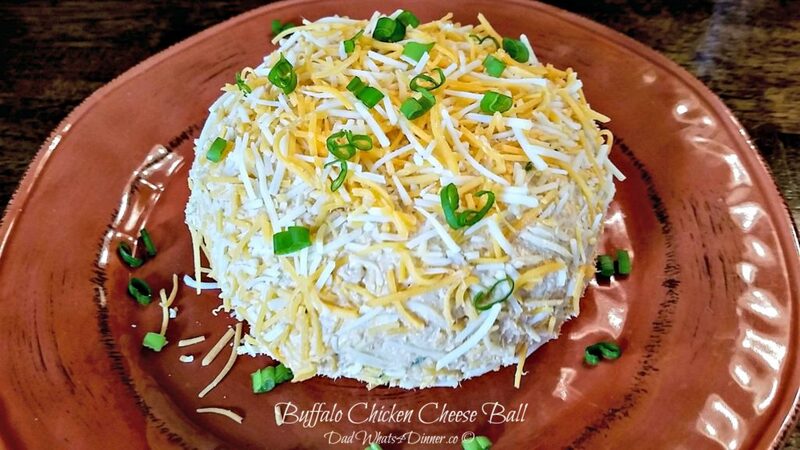 You know, somehow I’ve never had a cheeseball, but if I were to try one I think this would be a great place to start, such yummy flavors! Thanks for sharing with FF. Don’t know what your missing :)) happy ff! I love this cheesy goodness! 🙂 My kind of food! I am always looking for new appetizers and this one is definitely going into my file…which is on Pinterest. Delicious! Wow! I’ve never Ben heard of a cheeseball, that sounds moreish! How would you eat it?? Okay. Usually with crackers or with this you could eat it with celery. Aha, okay 🙂 and are there vegetarian versions? For some reason my previous comment has disappeared…so let me just say, wow! That’s a whole new world to me!! Looks like another amazing recipe from the house of Quinn! Perfect for the Super Bowl! Are you entertaining? Have a wonderful weekend Quinn and thanks for sharing on FF! Thanks Nancy. have a great weekend! I love anything with buffalo flavor!! Gotta try this one! thanks for sharing on What’s for dinnner! A very interesting twist on the buffalo wings! It is a very tasty twist. Thanks for stopping by. Thanks Laurie. This is one of my families favorites. YUM! 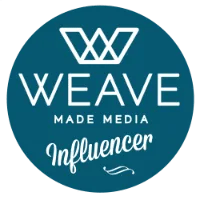 Thanks for linking up to Link Party Palooza- this is my first time visiting your site and I am excited to browse a bit more! Have a great night…………. Thanks for visiting Stephanie. Have a great week. This looks delicious. I’m putting it on my to make list. Pinned and Tweeted. Thanks so much for sharing your wonderful recipes with us at Snickerdoodle Sunday. 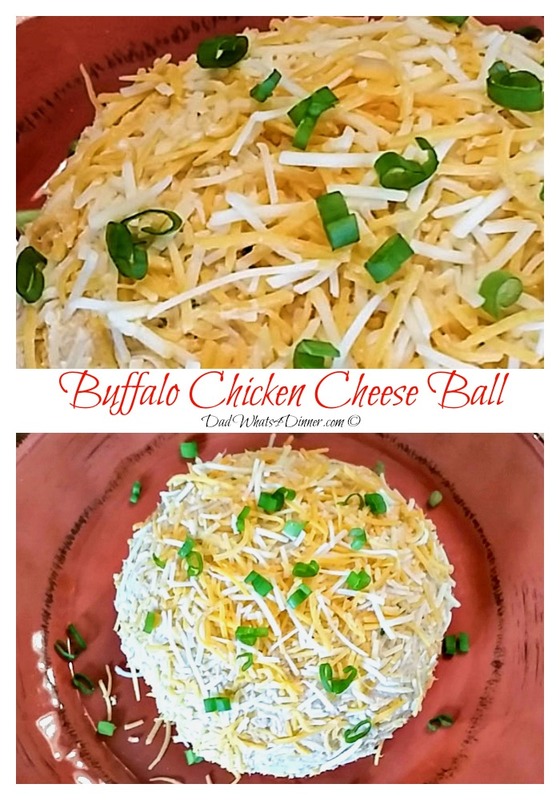 Love Buffalo Chicken anything & this looks delicious!! Love this!! I’m pretty much addicted to anything buffalo chicken! Sending some foodie love your way! Thanks Michelle. Talk to you soon.